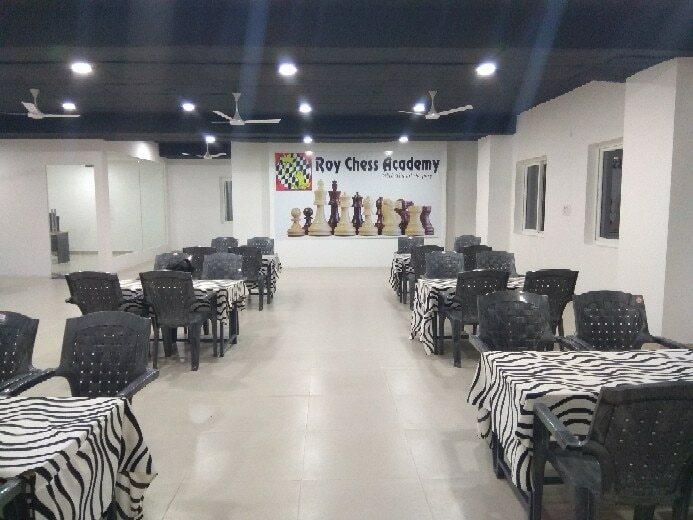 Chess Coaching at Hyderabad by ROY CHESS ACADEMY Chess Summer Camps are the right way to introduce the chess game to new students.kids will have more time to learn in summer and they will get practice with different fresh young minds, Our coaches teach everyday new chess lessons, chess patterns, chess puzzles, and chess game play to improve the game of student. Chess coaching gives a strong essential basics, improving the beginner level skills needed to a longtime learning in chess. including: Piece and board set-up Algebraic Notation (Chess Language) Essential Principles of Play Coaches will give at that point master guidelines on these abilities and covering further developed thoughts, including: Strategies Technique Middle game Planning Endgame Technique. summer chess camp at kakinada and at Hyderabad 7 days and 15 days batches are there.. learn chess in smart way at Roy Chess Academy New batch start's on every Monday. No matter how tough the Chess is, the 9 years old Twins, Nandini and Varshini started playing chess in one class only..
"White to Play Check Mate In Three Moves" they solved all puzzles but the last one took more time to solve. In chess whenever a puzzle is taking more time to solve, don't stop solving, that puzzle is going to improve your skills in finding best move..